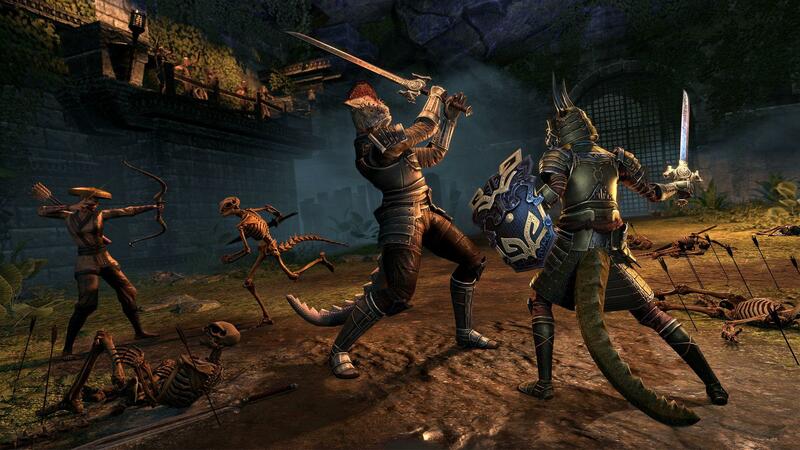 Ah, the Argonians of Elder Scrolls. Tamriel’s friendly neighbourhood swamp lizards have been an essential part of Elder Scrolls since the first game came out in 1994, yet they’re often pushed aside, none of the games’ expansions exploring their culture and livelihoods in greater depth. Surely there’s more value in the reptilians than immunity to disease and the ability to breathe underwater? We’ll always have The Lusty Argonian Maid, of course, that Elder Scrolls literary classic – may the line, “Such strong legs and shapely tail,” live in our memories forever. But beyond that, the Argonians have largely been left to lurk in the muddy depths of Black Marsh, their homeland, waiting for their time to step into the spotlight. Finally, that day has come. 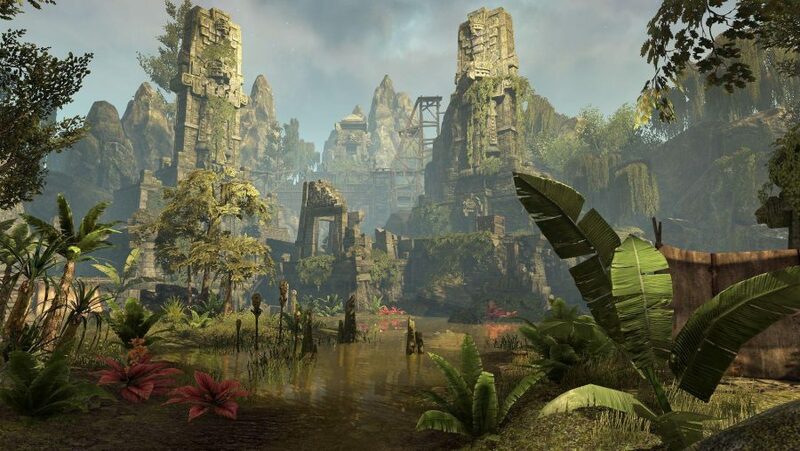 “This is the first place we’ve really got to see the Argonians at home,” Ed Stark, zone lead at ZeniMax Online, tells me. Murkmire, the fourth expansion for The Elder Scrolls Online, comes out on PC today with the aim to satisfy fan curiosity surrounding the scaly species and their homelife. Stark then gives me a grand tour of Murkmire. Swampy lakes and dilapidated structures populate the area of Lilmoth, the main city and central residence of the Argonians, or what is referred to as the ‘festering jewel of Black Marsh’. Nothing appears attractive at first. The island looks murky, muddy, and bleak from the onset. 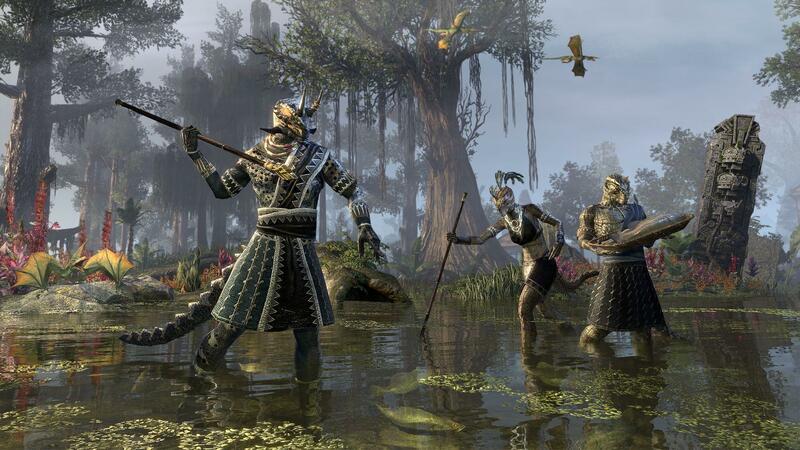 What does stand out are the Argonian huts propped up on stilts laying stagnant in the swampy rivers. 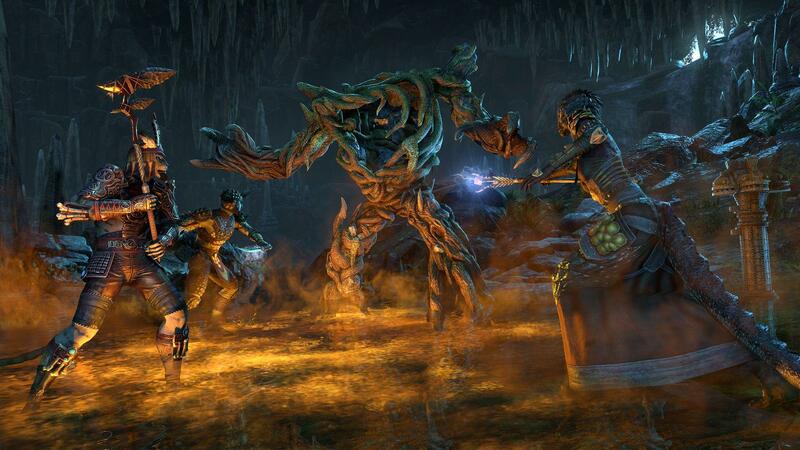 This is one of many occasions during the tour in which Stark outlines how history – fictional and actual – has guided the design of Black Marsh. And as we continue to make our way through the area we come across an Imperial wall in the centre of Lilmoth. Soon, as we venture into another zone on the outskirts called Xanmeer, the marshes give way to the glorious colours of the jungle. The land here feels far more populated – teeming with creatures, new and familiar. 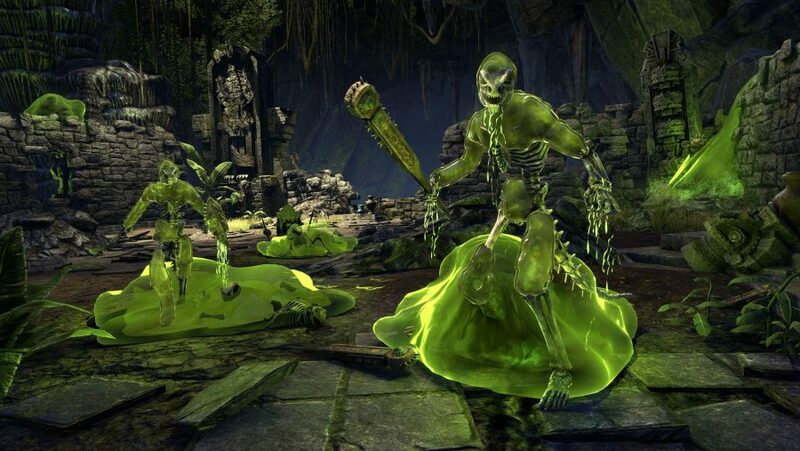 Some have never been encountered in an Elder Scrolls game before, like the ‘Swamp Jelly’: tiny floating jellyfish you either harvest or, later on, can claim as pets. It’s clear that Zenimax has made an effort to bring something completely new to Elder Scrolls with this expansion. It’s not just animals, either, as there are copious amounts of vegetation to observe, all of it writhing and alive, and some of the sprouts more deadly than they are pretty. Not only does all this life provide a boost to the available loot, it throws new challenges at you, as some of the plants require strategy to take down before you’re able to gorge on their yields. This is a tiny addition in retrospect, but scattered around the woods they act as colourful and animated pinatas to smack between visits to the ruins, but, unlike the ones you find at kids’ parties, these react to your movement by either burying themselves in the ground or hurling an electrified current in your path. 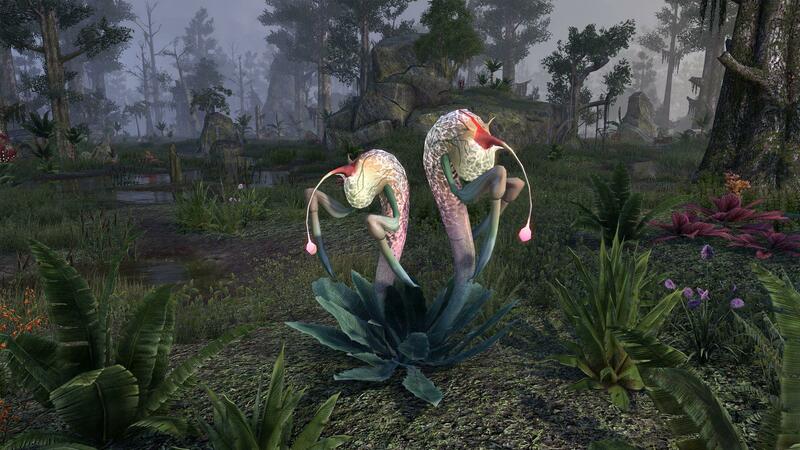 One of ZeniMax’s biggest aims when building the world of the Murkmire expansion was to take nuggets from the Elder Scrolls lore and build upon it. Not only does this give the zone a sense of history, it provides culture, too. 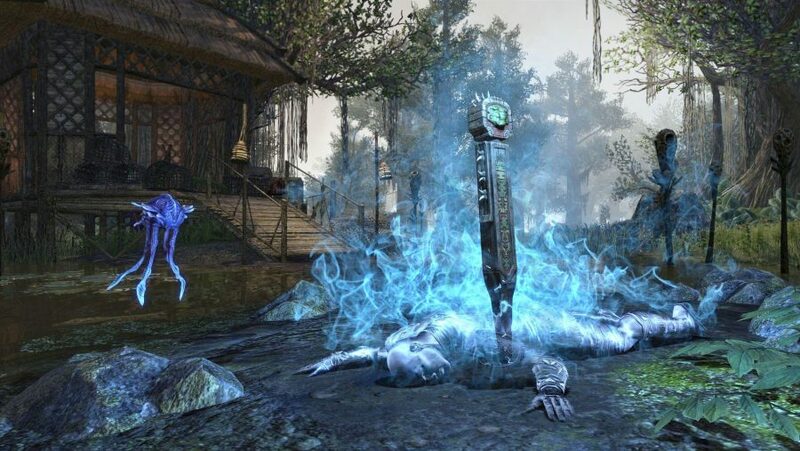 This is illustrated when Jeremy Sera, lead content designer at ZeniMax, kneels next to a shrine to worship the great god Sithis – a figure that demands grave respect and is of huge importance to the Argonians. 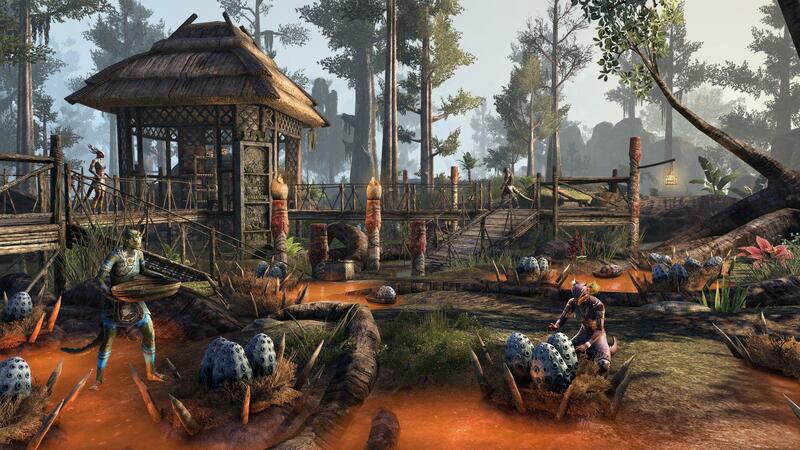 Shrines like this one are a new feature introduced in Murkmire that aims to expand and enrich the Argonian homeworld. 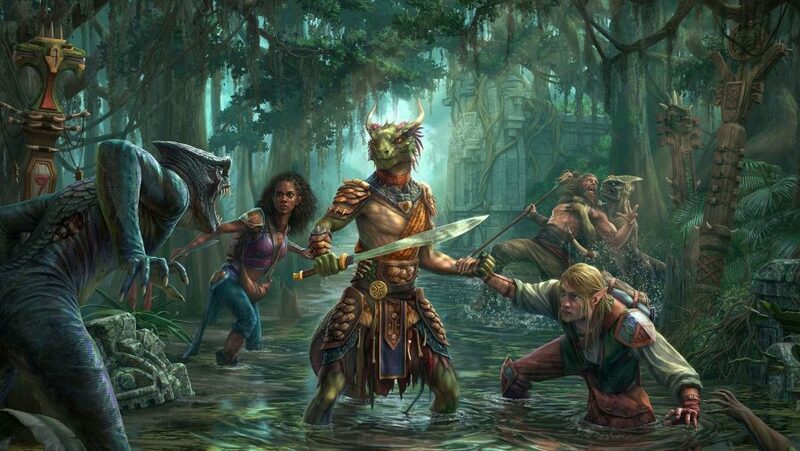 The introduction of tribes, such as the Naga, which are described as a subspecies of Argonian, are also part of this injection of culture. The ‘Dead-Water’ and ‘Bright Throats’ variants differ in their outlook on life as well as their beliefs, but they both have a sordid history to unearth, which outlines what it is that caused them to go down different paths. 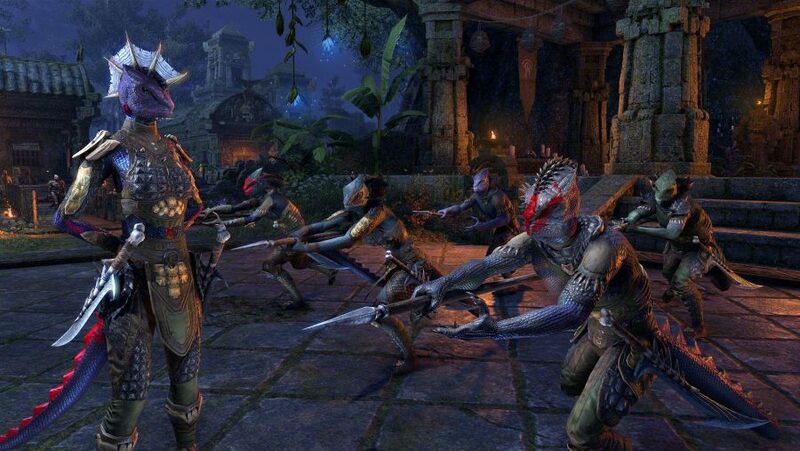 What seems to be most exciting for Sera and the rest of the team at ZeniMax is that they get to have some say in how the Argonians will be represented in future Elder Scrolls games. “People that play these other games… they’re going to play them in the future in our timeline,” he says. “We actually get to set things up.” What this may mean for The Elder Scrolls VI, if anything, is unknown at this point, but the prospect of it having an influence on Bethesda’s next installment in the fantasy RPG series makes this expansion all the more enticing.